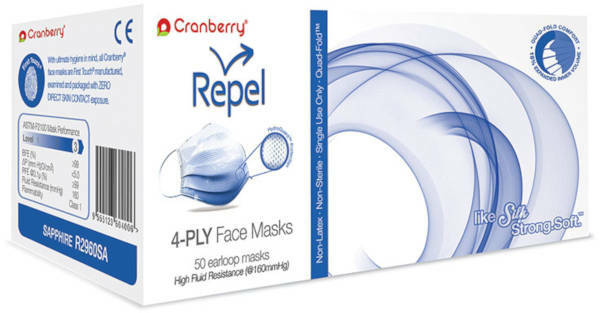 Repel Anti- Fog masks provide an exclusive nonwoven antifog cushion across the inner layer to reduce fogging of eyewear. The face masks are available in sapphire and silver and are packed 50 pieces per dispenser box. Great brand and great product. Quality of products made keep for return business.